Like many business located in the Adirondack region, Victory View Vineyard attracts visitors from around the world. We’ve had visitors from most US states as well as from the United Kingdom, Canada, Columbia, China, Ukraine, Moldova, Australia and other countries. 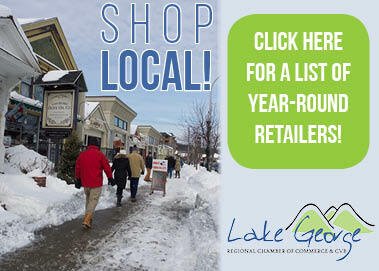 At first this was surprising to us, but now we are certain that visitors to our region come for many reasons, like our mountains, our lakes and rivers, outdoor recreation, the summer climate, the autumn splendor, our region’s historical significance, even our off-the-beaten-path wine tasting destination. July through October is our busy season. We are performing canopy management tasks in the vineyard on a daily basis and hosting visitors and events at our farm winery on weekends. We exclusively use the grapes we grow on our farm to craft our wines. Our varietal wines made from newly developed grapes like marquette and la crescent attract visitors to the region in addition to curious local farmers and eager wine enthusiasts. Our distinctive wines are truly the taste of our region. Victory View Vineyard is becoming known for our dry red wines. Our 2013 Independence marquette won Double Gold and Best Red Wine in the 2015 Hudson Valley Wine & Spirits Competition. 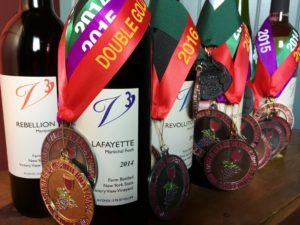 Last year our 2014 Lafayette maréchal foch won a double gold medal in the 2016 Finger Lakes International Wine Competition. Our newly released 2015 Freedom Frontenac is a hit in our tasting room. If you are looking for something to do, wine tasting and a unique farm experience, visit Victory View Vineyard on the Adirondack Craft Beverage Trail – Open Saturdays and Sundays, Noon to 6pm. Cheers!